Is one of the world's most popular toys. Hornby was born on 15 May 1863 in Liverpool Lancashire, England and was the son of John Oswald Hornby, and his wife Martha Thomlinson. On 15 January 1887 he married a schoolteacher Clara Walker Godefroy, they had two sons, Roland and Douglas, and a daughter, Patricia. Hornby began experimenting with ideas in his home workshop making toys for his sons in 1899 with pieces he cut from sheet metal. He built models of bridges, trucks and cranes, although the pieces they were made from were not interchangeable. The breakthrough came when Hornby realised that if he could make separate, interchangeable parts that could be bolted together, any model could be built from the same components. The key inventive step was when he used regular perforations in the structural pieces that could be used to join them together with nuts and bolts. By the end of 1900 Hornby had built a set of parts he considered worth marketing. On advice, he patented his invention in January 1901 as "Improvements in Toy or Educational Devices for Children and Young People", but not without first having to borrow five pounds from his employer, David Elliot, to cover the costs. His employer saw potential in what Hornby was doing and offered him some vacant premises next to the office where he worked to pursue his ideas. With this move, Elliot and Hornby became partners. With the financial assistance of his partner, "Mechanics Made Easy" sets went on sale in 1902. Each set had only 16 different parts with a leaflet detailing the construction of 12 models. In 1903, 1,500 sets were sold, although no profit was made. New parts were continually being introduced and in 1904, six sets, packed in tin boxes with instruction manuals in French and English, became available. In 1905 two new sets were introduced and in 1906, for the first time, a small profit was made. In September 1907, Hornby registered his famous "Meccano" trade mark and used this name on all new sets. In order to raise more capital to invest in a larger factory and plant, a company had to be created. This led to the formation of Meccano Ltd on 30 May 1908. Elliot had decided not to join the new company, leaving Hornby as the sole proprietor. The Meccano factory was relocated to West Derby Road in Liverpool, and in 1910 the famous "MECCANO" logo was commissioned. 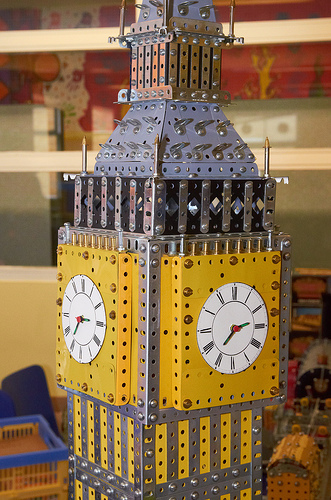 Meccano Ltd's turnover for the 1910 financial year was 12,000 pounds. 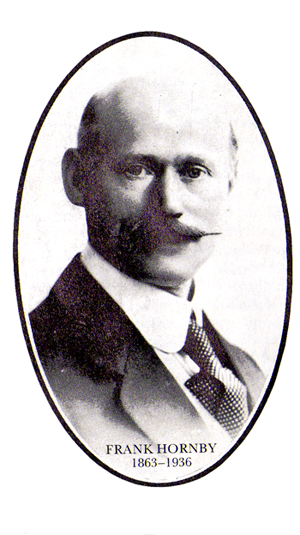 By the 1930s, Hornby had become a millionaire. He owned a mansion and was chauffeured to Binns Road every day by limousine.